John Ednie was the eldest son of George Ednie a railway engine fitter and his mother Jane. He was born in Glasgow but grew up and went to school in Edinburgh until he enrolled at the Heriot Watt College. He won a scholarship to study English Architecture and Interior Decoration in 1897 and he travelled around the country studying these 2 subjects, he also travelled Europe and on his return he gained an apprenticeship with Scott Morton Decorators in Edinburgh and also worked with the architect John Kinross and at this time shared a home with his younger brother Andrew. He then joined Wylie and Lochhead in the design department along side George Logan and E.A.Taylor whom was head of design. Of the three designers Ednie was the purest Glasgow designer for 2 main reasons the first no doubt due to his Architectural studies and secondly because his designs were influenced by Ballie Scott but more importantly by Mackintosh and his designs in many circumstances very similar to Mackintosh's and therefore they are a much purer Glasgow Style. He particularly liked Cyma Recta cornices, shallow carving and squares and chequer details on furniture very much like Mackintosh which Taylor and Logan usually avoided. He designed the dining room in the Wylie and Lochhead Pavilion at The International Exhibition of 1901 which also went to Budapest in 1902 and water colour designs for 2 rooms by him were Exhibited in Turin in 1902. In 1903 he married Lily Epton in Edinburgh. The same year he lectured on furniture design until 1906 at the Heriot Watt college were he originally started his studies in Architecture and Interior Design. Also in 1906 he started designing free lance to I believe Wylie and Lochhead and certainly produced a lot of Interior decoration work for private clients and he also designed furniture for Garvie and Sons of Aberdeen and stain glass and decoration schemes for McCulloch and Co. Ednie also started full time work as the director of the Industrial Art Section of The Glasgow and West of Scotland Technical College and in 1908 he became Head of Design. He was a member of The Edinburgh Architectural Association and The Scottish Guild of Handicraft. He and John Taylor wrote a book called New Ideas for Home Decoration, for the USA. It seem the height of his career and when he was widely known for his work was around 1910. He decorated many house interiors, retail outlet restaurants,cinemas and public buildings throughout his career. He moved to London with his wife in 1926 and moved again to Cairo in 1928 where he became director of The Cairo School of Applied Art. 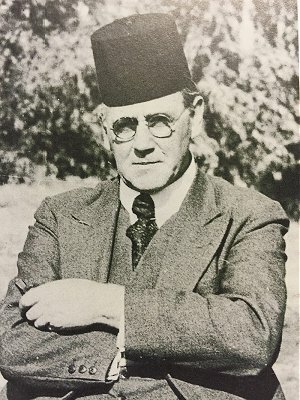 He died from an animal bite in Cairo in 1934.